Great location. Very clean. Andreas is great host. 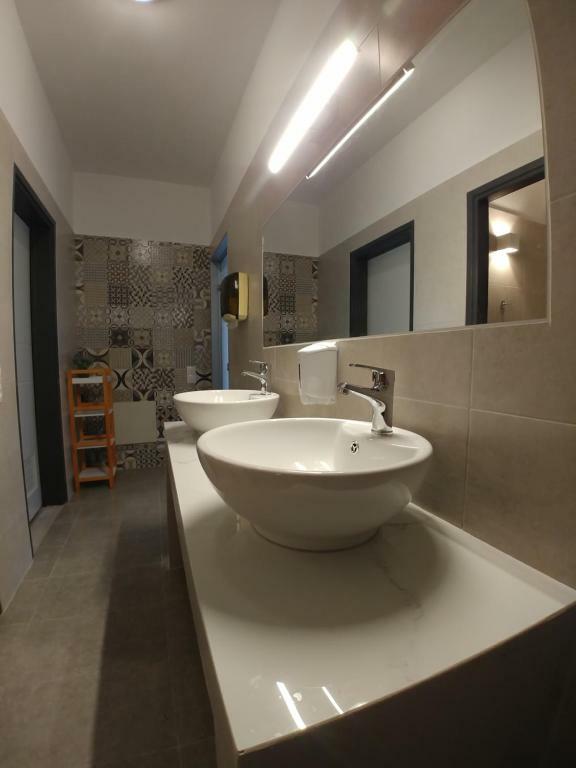 Location is perfect, apartment was comfortable and always clean. Swimming pool is big, ideal for a short swim after beach :) Staff is very professional. They directed me to good rent a car and travel agencies and for a small money i have visited most remarkable beaches i have ever seen. The cleanliness was perfect! The staff was very kind and full of recommendations, and the room was very comfortable. everything is great! 30 seconds from the beach, chairs only 3€ pp. The reception guy that looks like young Ben Stiller was super friendly, helpful and funny! no noise from the street (either because its a small street around the corner from beach road or because the isolation is good), so we slept very good there. amazing value for money! P.S. try the fish tavern with bright white lights, really good! Bobbi and his wife are very nice and helpful, recommended an excellent restaurant (local cuisine). Eager to please, very hard working. The room was largely very good. The beds were comfortable, there was plenty of space, and the location – a few yards from the beach – was very handy (it is a fair walk from town, though many won't mind this). The hotel was quiet, clean, and obviously generally well-kept. There were restaurant and handy stores within a few minutes walk (at most). It is adjacent to an area of the beach that is a little quieter. This can make for some lovely afternoon walks by the sea. It was good value for money in a number of respects. Lovely apartments free safe and aircon. Staff very friendly and helpful..good location 20mins walk to main resort..plenty of local restaurants within 5 min walk..sunbeds 3.50 euro including a drink..visited early october. Very good value for money, we managed to park at the property everyday but this was out of season, reception helpful with directing to restaurants etc. Spacious one bedroom duplex. Lovely pool great location near beach. The pool came in very handy, especially the kids' pool. Beach was very close by, although the high winds did not allow many visits ... good thing for the pool! 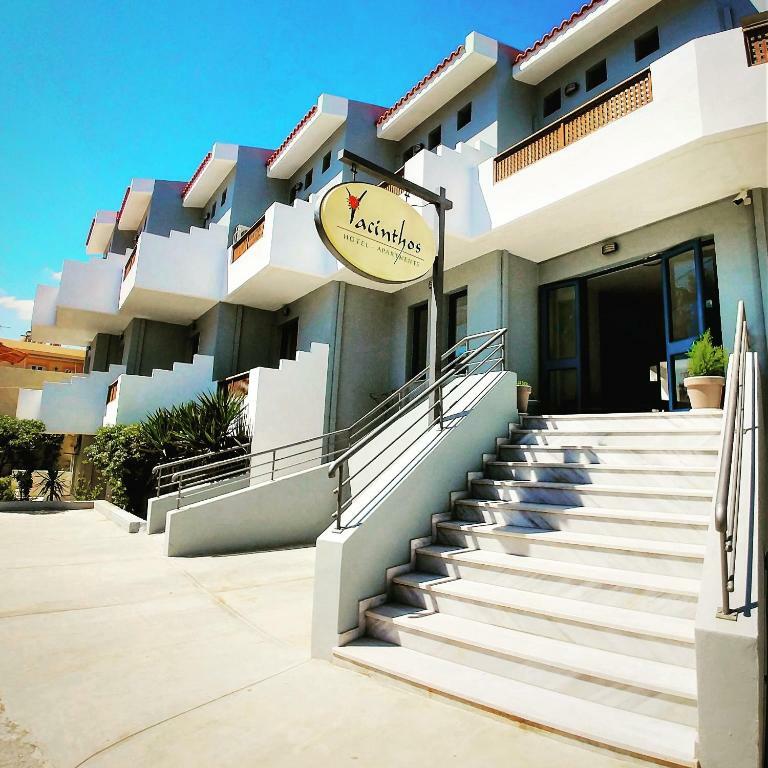 Lock in a great price for Yacinthos – rated 8.8 by recent guests! 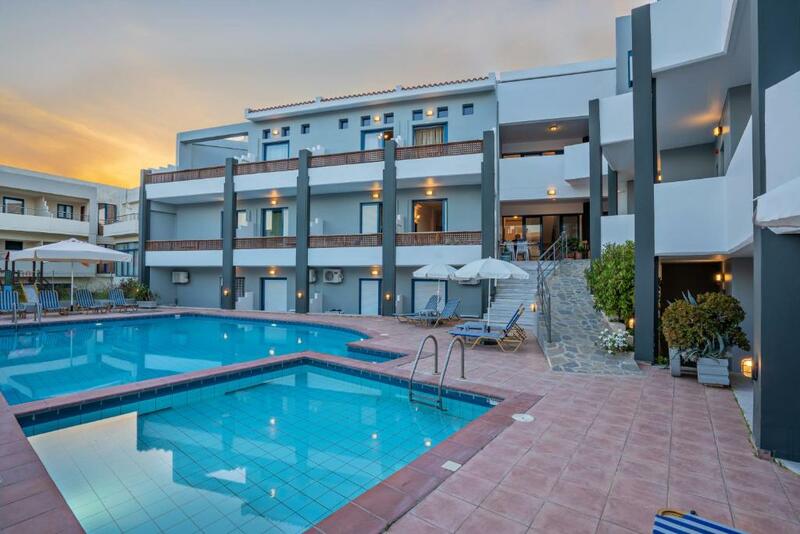 Yacinthos This rating is a reflection of how the property compares to the industry standard when it comes to price, facilities and services available. It's based on a self-evaluation by the property. Use this rating to help choose your stay! One of our best sellers in Rethymno! Yacinthos is located right opposite the long sandy beach of Perivolia. It offers a swimming pool, a children’s pool and complimentary sun beds. Free Wi-Fi is available throughout. Studios and apartments at Yacinthos are self-catered and air-conditioned. 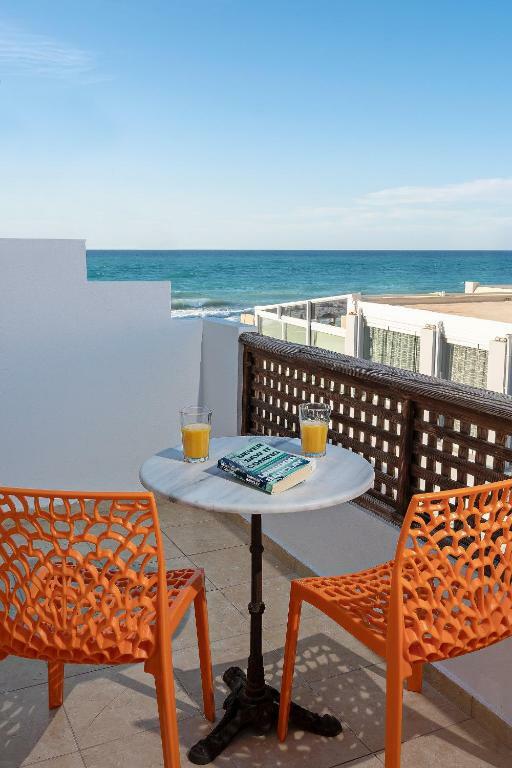 Each unit has a private balcony with views of the pool or the sea. Room service is also available. Guests can start their day with a rich breakfast including among others fresh bread, homemade jam, yogurt with honey, waffles, crepes and deli meats. Breakfast can also be enjoyed in the privacy of the rooms. The nearby sandy beach provides water sports, as well as traditional Cretan taverns and shops. Rethymnon is only 1.6 mi from Yacinthos. When would you like to stay at Yacinthos? These ground-floor studios are open plan and have a balcony with views of the sea. Located below ground-level, with wide windows and patio with view to the garden and the pool. A third guest can also be accommodated at an extra charge. This apartment is divided in two levels and features a separate bedroom, a living area and a balcony with views of the pool. 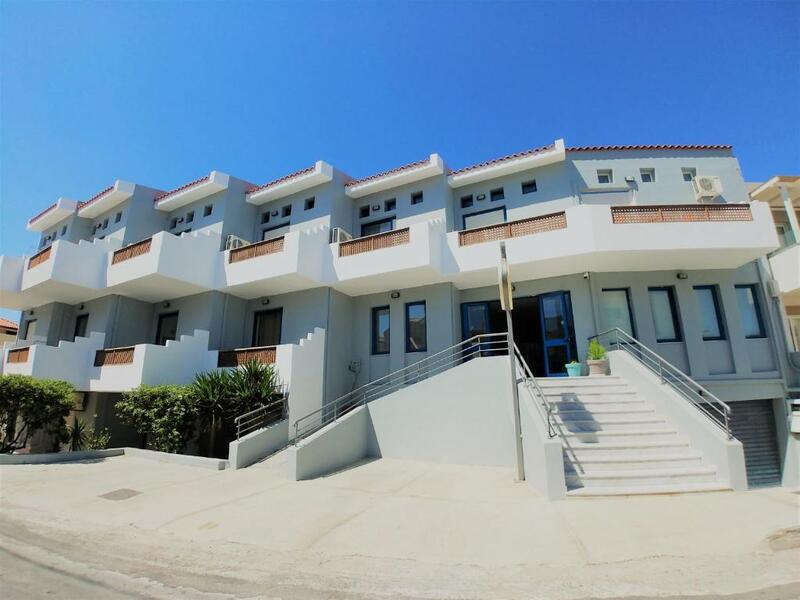 This two-room apartment is divided in 2 levels and has a living area and a balcony with views of the sea. These ground-floor studios are open plan and have a balcony with views of the pool. Divided in 2 levels, this apartment consists of a separate bedroom, a seating area and a balcony with views of the Cretan Sea. House Rules Yacinthos takes special requests – add in the next step! Yacinthos accepts these cards and reserves the right to temporarily hold an amount prior to arrival. Please inform Yacinthos of your expected arrival time in advance. You can use the Special Requests box when booking, or contact the property directly using the contact details in your confirmation. Perhaps a few more kitchen equipment, such as chopping boards, sharp knives, but nothing much else. A very positive experience. No parking, which was a major problem. No breakfast available at the hotel, but choices available within walking distance. Gorgeous place for a very good price. Nothing to complain about! Thanks to the friendly stuff! Clean, spacious. Very close to the sea. Friendly and helpful service Great location Great value for the money! The staff are very friendly, welcoming and helpful. The hotel is in a great location - across the road from the sea, lots of places to eat, and 30-40 min walk or 5 min drive to the old town. The rooms are nice-looking, clean and have everything necessary for a pleasant and comfortable stay. I really enjoyed my stay there and would come back without hesitation. Big rooms and very pleased by the whole experience. 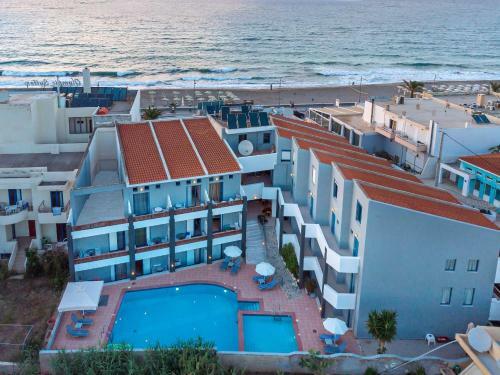 Very impressed and we know for a fact, that nothing in Rethymno even comes close to the overall quality for that price. We have stayed at 7 different places the last few years, yacynthos just blows the competition away. Andreas, the manager was also super friendly, helpful and service minded. Will definetily revisit. Maybe the room could have been slightly bigger. The kitchen didn't have too many pots & pans for cooking. It was ok for breakfast. It was a very quiet property especially in the evening. No noise from the pool area whilst we were there. Staff very helpful and friendly. Wifi connection could de better but not sure whether that depends on the Hotel or the general infrastructure of the island. We had wonderful days at Yacinthos. 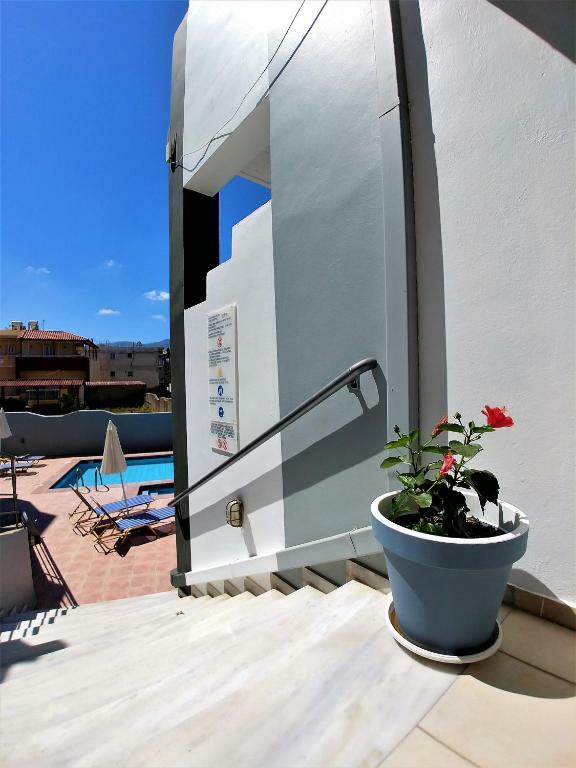 50m from the Beach and 1/2hour walk from Rethymno City center. Owners were very kind and did all they could to please us and recommended places & rest to visit. 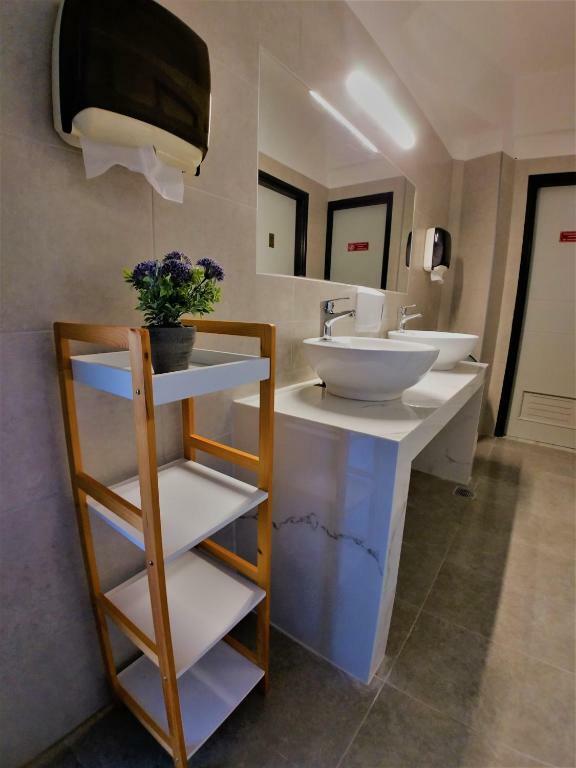 Very friendly and helpful stuff, spacious & functional room and bathroom, nice pool, really good location (next to the bus stop and big supermarket).